Warm greetings in Christ! This month's video update features what BIEM is doing to help the needy in Ukraine's war zone which is along the east, bordering Russia. 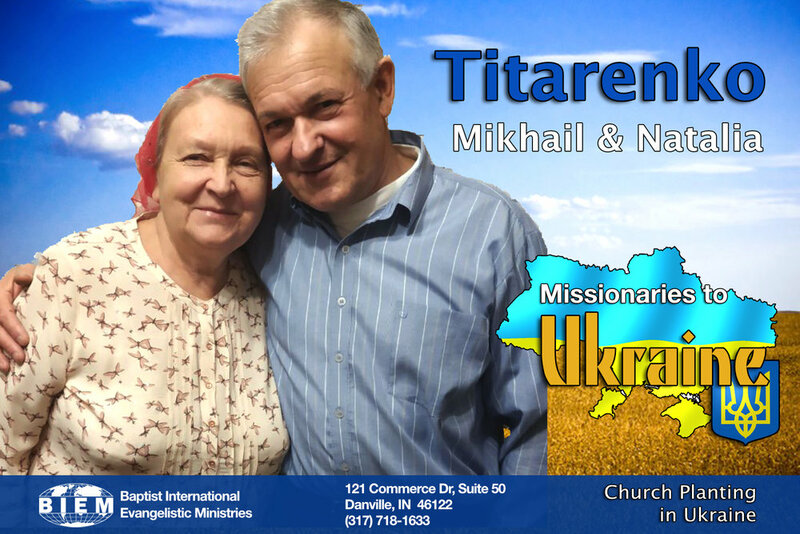 There are about 20 churches in that area that we fellowship and work with through the Brotherhood of Independent Baptist Churches of Ukraine. On this video you will see Pastor Sergii Sheptala, whose residency in the war zone permits him access to this embattled area and Sergii Debelinsky, who is the president of the Brotherhood. Funds given for clothing, food, coal for heating, and other needs are distributed by the churches not only to their own members but also to those in their community. Since the Gospel is presented along with distributing the aid, many souls are being saved, and several of these churches now have baptized believers in their membership through these efforts. Please consider helping with this need by designating gifts as "Aid for Ukraine." Greetings! This month's video update comes from the military city of Desna and features Igor Fomichov, who is the pastor of the church there. The large military shower facility happens to be right next to their church. Therefore thousands of soldiers are marched past the church building every week on their way to the showers. Brother Igor came up with a plan of using this as an opportunity for evangelism by mounting a Bible verse on their building. He began to share this idea with others asking for some ideas of what would be the best Bible verse to use. Eventually, someone suggested rather that than mounting just one verse, they should mount a digital LED outdoor screen. This would have the ability not only to change verses from time to time but could also display an invitation to attend the church and show the times of the services as well as special events. Folks began to get excited about the possibilities and then one day God provided the funds for this project. Praise the Lord! Warm Christmas greetings from the Slobodians! Not only were these meetings a wonderful blessing, but also the news of this expression of Christian love spread throughout the communities which lifted up the testimony of the church. In one location, the mayor attended, and in another location, a deputy, which is the Ukrainian version of a congressman, participated. May God bless you with a blessed Christmas and wonderful New Year! Happy Thanksgiving from the Slobodians! 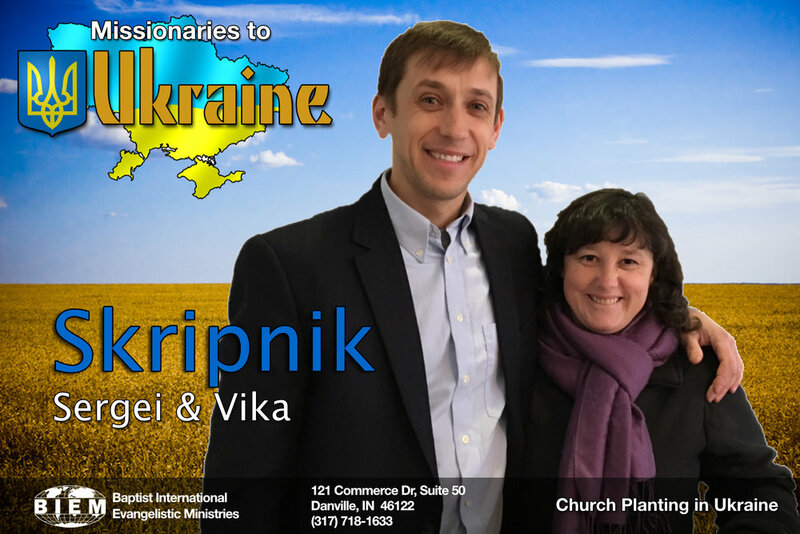 This month's video comes from Ternopil, Ukraine and features church planter Vitaly Bilyak. We were there recently with a group from our home church along with a couple from Canada. We were able to celebrate Thanksgiving with the church established there. For such festive occasions Ukrainians often wear their embroidered shirts called "Vyshyvankas." Our whole group joined in this tradition. Believers in Ukraine do not all celebrate Thanksgiving on the same day. Rather each church picks a Sunday in the Fall to have their special Thanksgiving service. It was a great blessing for us to be able to thank the Lord together with these dear saints. May God bless you with a wonderful Thanksgiving!